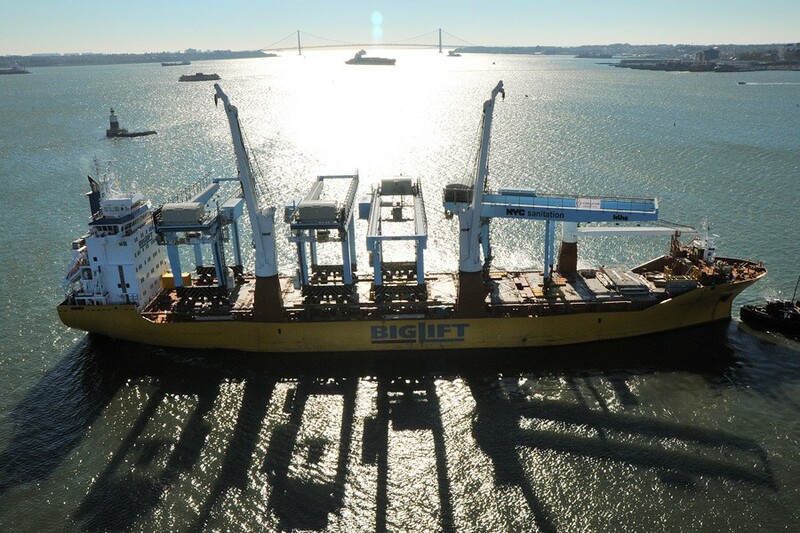 Deugro awarded BigLift a further contract in June 2017 to load the last four of eight 320 mt Rail Mounted Gantry cranes (RMG) and transport them from Künz GmbH in Gdynia to New York. 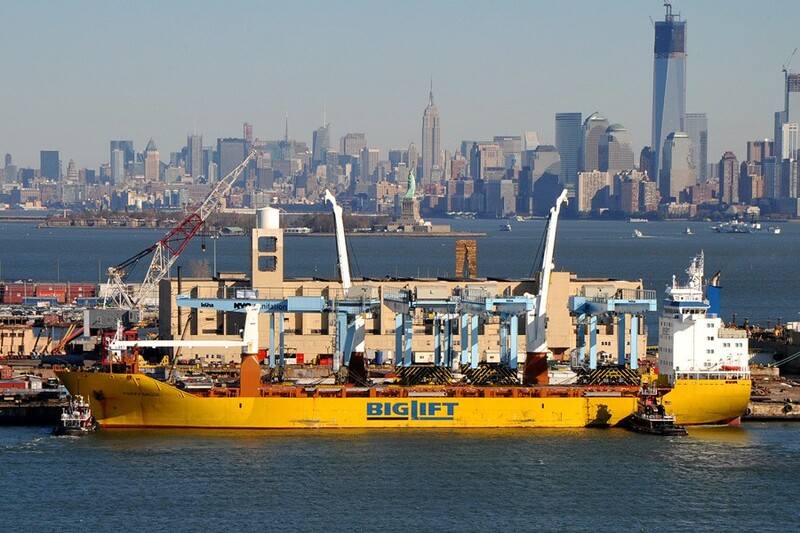 In 2012 BigLift transported the first batch of four RMGs to New York. 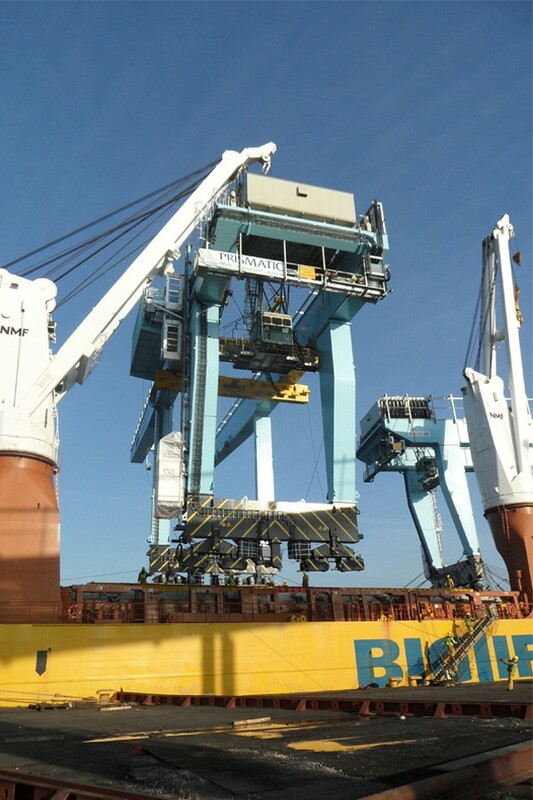 The cranes were quite complicated structures and margins for loading and stowage were small. 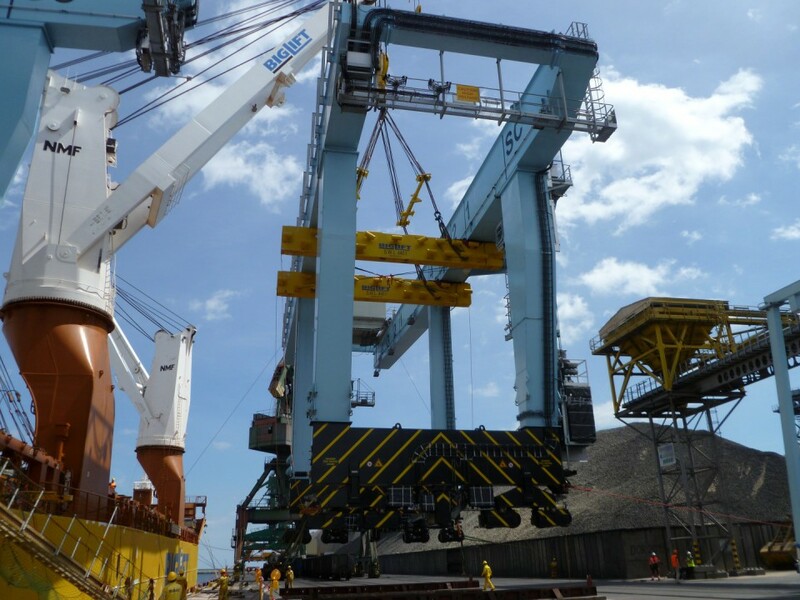 While preparing for the loading operations, good engineering and 3D simulations had already shown where difficulties could be expected. 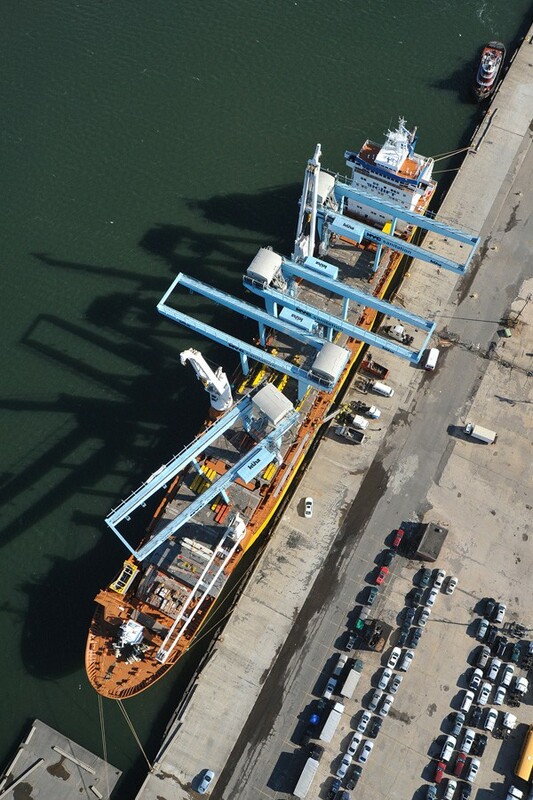 Various constructions were removed from the cranes, but even then space was sometimes only a matter of centimetres! 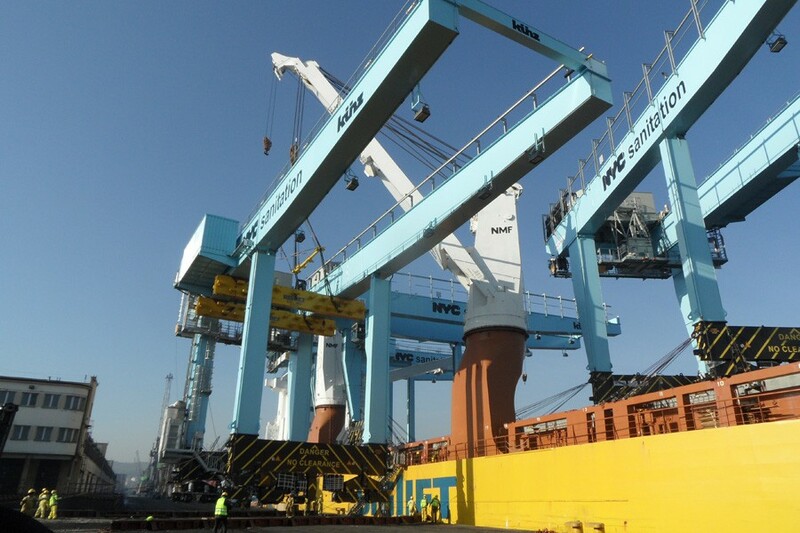 An impressive pattern of load spreaders had been laid out on the ship’s weather deck before the first crane was lifted off the quay and because of the gantries height – 26 m – the stability of both vessel and cranes had been meticulously calculated beforehand. 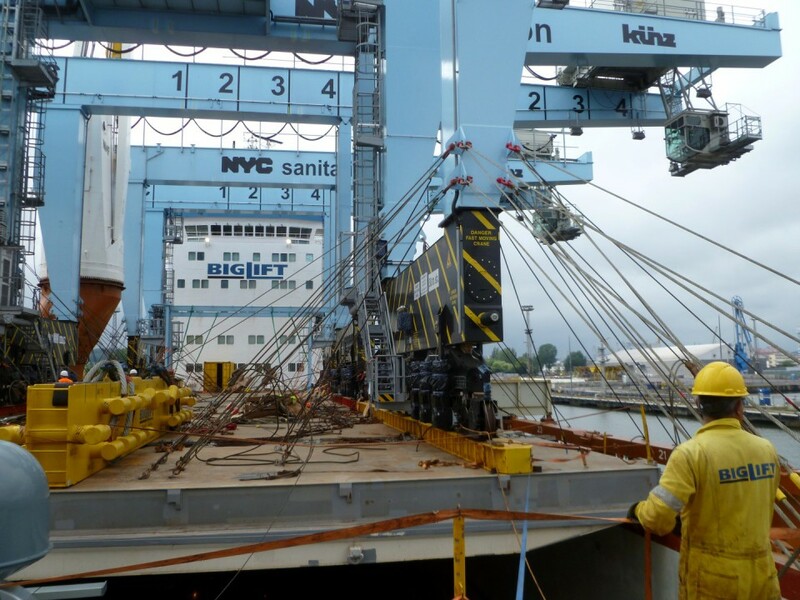 For the second shipment an in-depth lifting study was carried out beforehand again to check for potential issues and BigLift’s Happy D Type vessels again provided the safest solution, because of their lifting height and jib length. It so happened that Happy Delta was in line for this shipment; she also moved the first four. 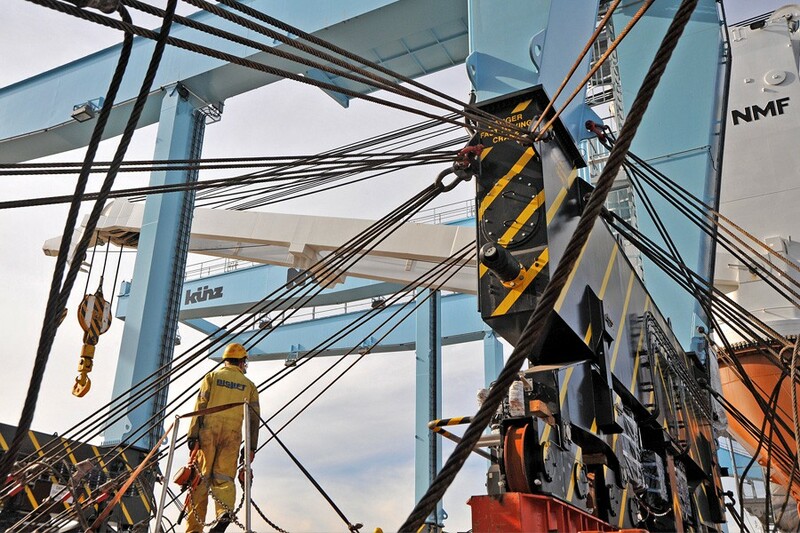 All the RMGs were loaded in single hook operations with the so-called “forklift method” whereby two beams are positioned underneath the crane’s girders. 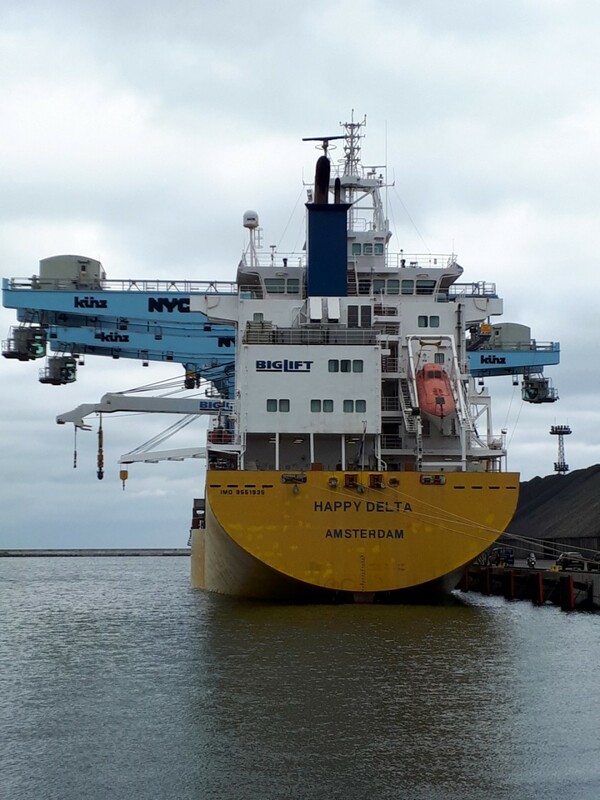 After a smooth crossing over the Atlantic – during the previous delivery the vessel had to avoid hurricane Katrina and snowstorm Tom – Happy Delta berthed at Bayonne Terminal in New York where she discharged the RMGs on to barges. 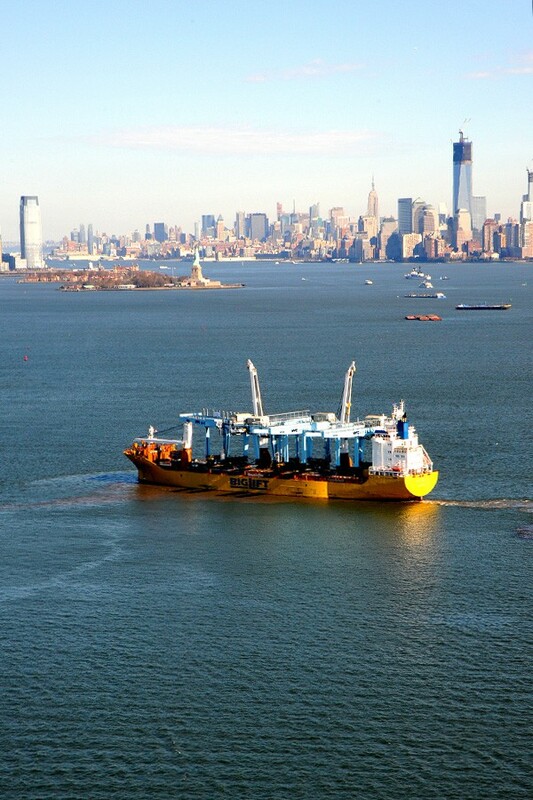 The barges took the RMGs to two different locations which are inaccessible by any seagoing vessel because of air-draft restrictions on the Hudson River. 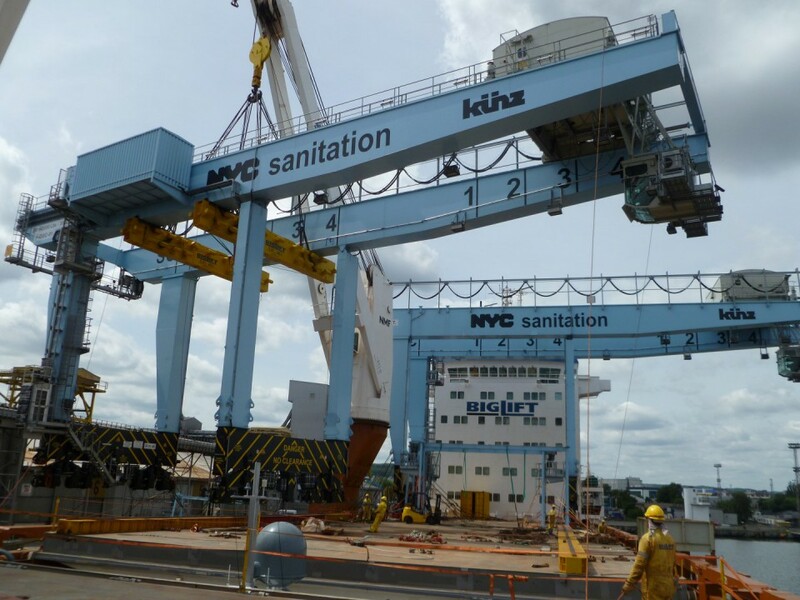 The delivery of these cranes rounds off the refurbishment of the New York Sanitation Terminal.